The IV-eye is a simple, portable, handheld imaging device designed to assist medical professionals trained in vascular access to locate, identify and assess peripheral veins for the purposes of cannulation and venipuncture. 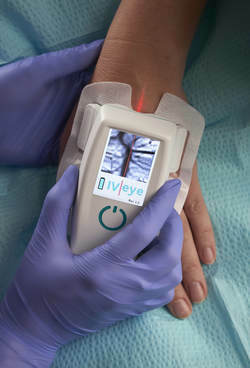 Adjacent near infrared (NIR) LEDs situated in the flexible wings directly illuminate the patient's limb from both sides of the target area. 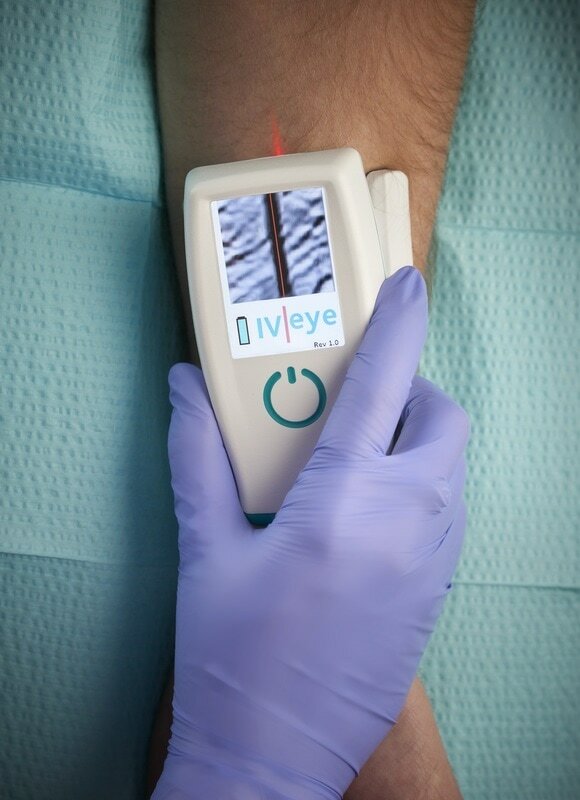 This enables the NIR light to penetrate deep into the skin and subcutaneous tissue before being captured by the camera situated on the underside of the IV-eye and then processed to display a real-time image of the vascular structure.